Coach Eve’s efforts to prevent death by stopping accidental drowning has been a lifelong passion, starting as a competitive swimmer, working as a learn-to-swim instructor and as a private pool lifeguard in her youth. As owner and president of Coach Eve Learn To Swim, parent company of Swim Chicago Southland, she has made that passion of stopping accidental drowning her mission. 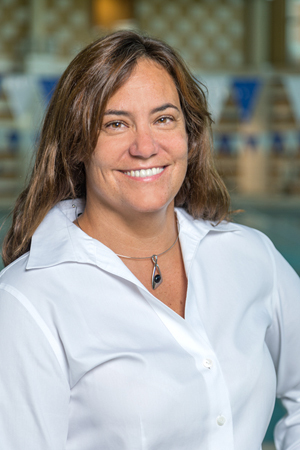 Coach Eve has been aquatics professional for over 30 years and has experience coaching novice athletes thru Olympic Trial Qualifiers, operating aquatics facilities from small single pool HOA’s to multi-pool recreational complexes. Bob is previous owner of Southwest Aquatics Management (SWAM, Inc.), which served as a consultant to swim programs throughout the state. Bob has almost 50 years of aquatic exeperience starting in his youth as an aquabrat at the community pool. 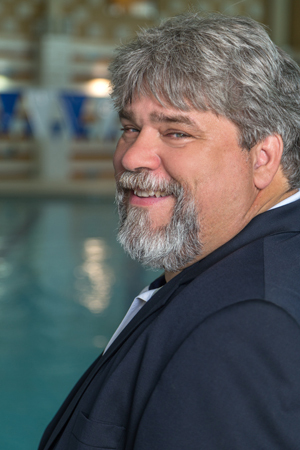 Bob is certified with American Swim Coaches Association as a Level 2 coach and licensed SwimAmerica™ site supervisor. Certified by National Spa and Pool Federation as a Pool Operator, and a Certified Aquatics Facility Administrator, a member of America Swim Coaches Association (ASCA), National Drowning Prevention Alliance (NDPA), American Learn To Swim Teachers (ALTST), Diversity In Aquatics Alliance, SAI Lifeguard Instructor, AHSI Instructor, Founder and Executive Director of Chicago Southland Aquatics Foundation and a USA Swimming Coach and National Official Member, and past general chair for Illinoi Swimming Board of Directors. Bob’s passion is drowning prevention and as such he has served on local and national taskforce for drowning prevention. Scott also is instrumental in development of our swimmers with special abilities swim lessons and has a passion for dealing with this children and adults. Scott hold certifications as a Lifeguard (SAI), Lifeguard Manager (ARC), SwimAmerica™ Site Supervisor (ASCA), Level 2 Swim Coach (ASCA) and a USA Swimming certified Swim Coach. Christine has been working for Coach Eve, longer than any other employee and has been with her from the start, not only because she is Eve's daughter, but because she has a passion for all things water. She not only is one of our best swim lesson supervisor and instructors, but she can be found making waves as a Aquafit Instructor. She is holds dual certifications as a lifeguard instructor with both SAI and ARC, and can frequently be found on the web working on our social media presence. Her biggest passion in water is leading our Baby’s & Me program, where she has developed and successfully implemented a better way to instruct this program, leading to development of swim lesson graduates at a younger age. She hold certifications as a Lifeguard (SAI), Lifeguard Manager (ARC), SwimAmerica™ Site Supervisor (ASCA), Level 2 Swim Coach (ASCA) and a USA Swimming certified Swim Coach.